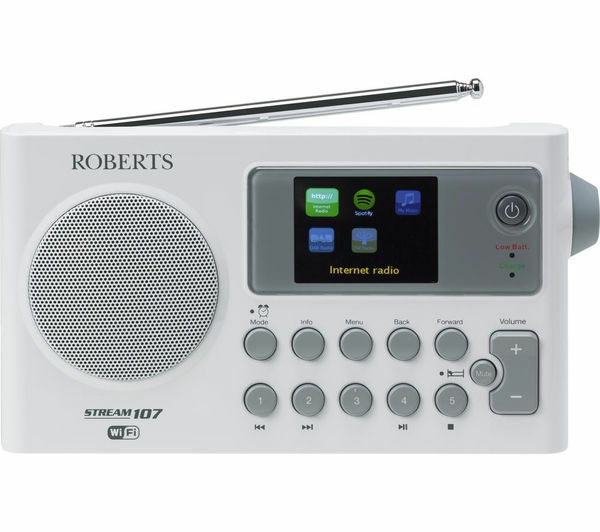 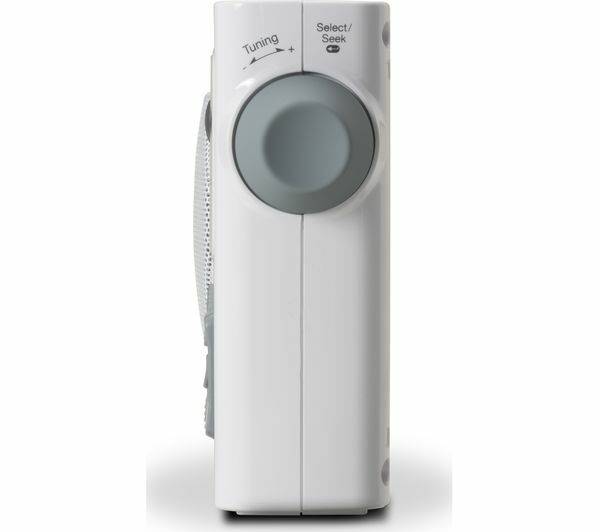 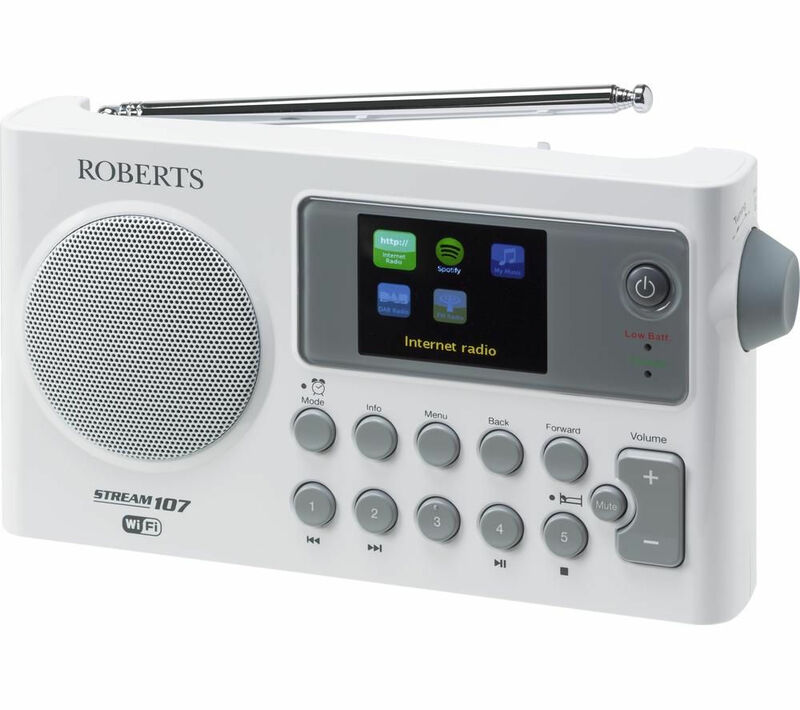 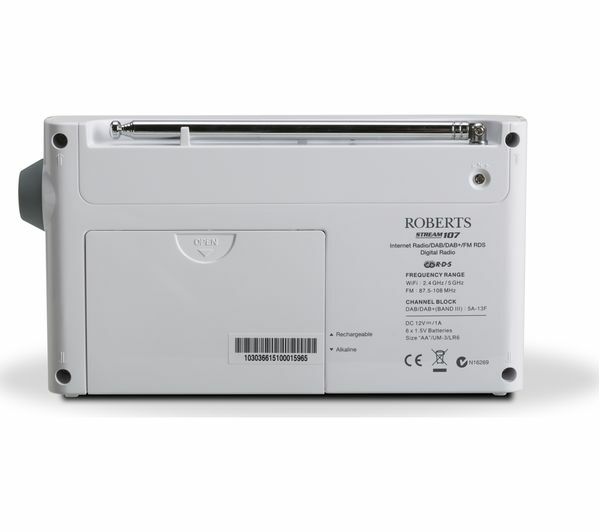 The Roberts Stream 107 Portable DAB+ Radio features a DAB+ tuner that allows you access to a huge variety of digital stations, as well as an FM tuner for traditional radio stations. 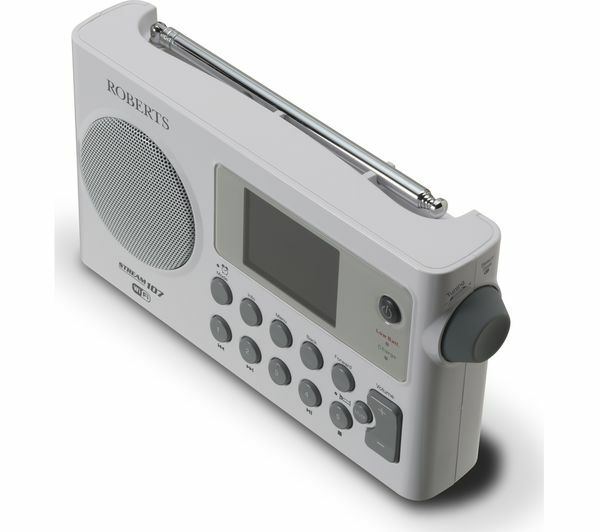 You can also access plenty of internet radio stations using the built-in WiFi connection to connect your radio to the internet. 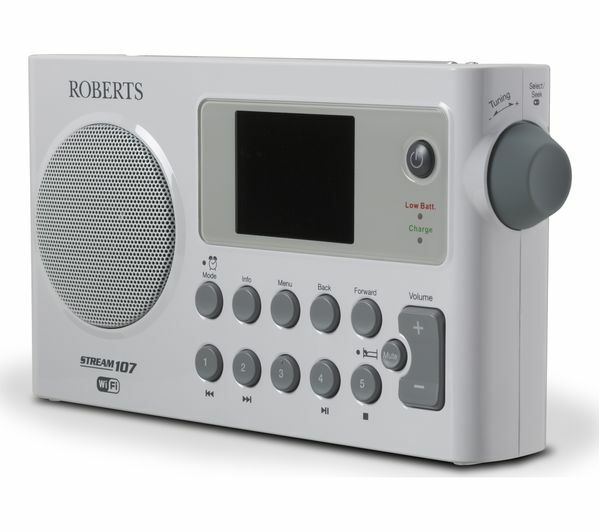 This radio is compatible with Spotify Connect, so you've got plenty of listening options. 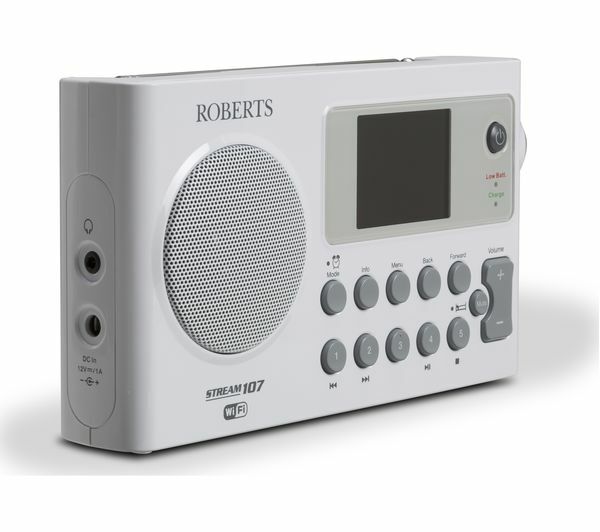 The colour LCD display makes it easy to see what radio station is playing as well as the alarm settings. 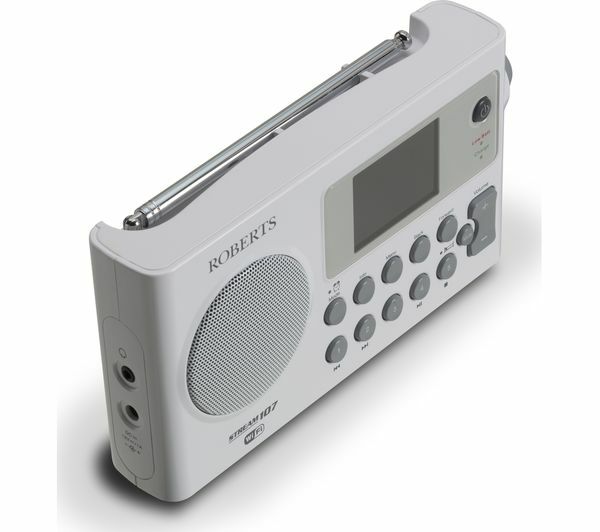 There are 15 presets for the radio stations, making it easy to store the stations you love. 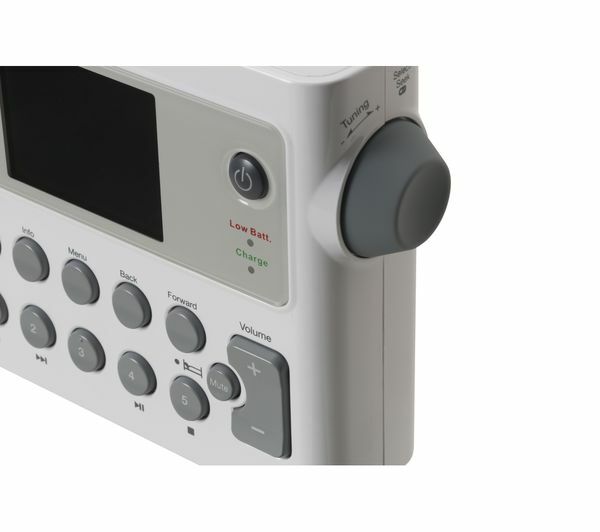 The six-position equaliser means that you can get great sound from your radio, and you'll be able to control the bass and treble levels.